A couple of weeks ago an enquiry came through the RunUrban inbox regarding an opportunity to test a pair of running shoes. The running shoe in question was the HOKA ONE ONE. I have seen the HOKA ONE ONE before at the NYC Marathon Expo. 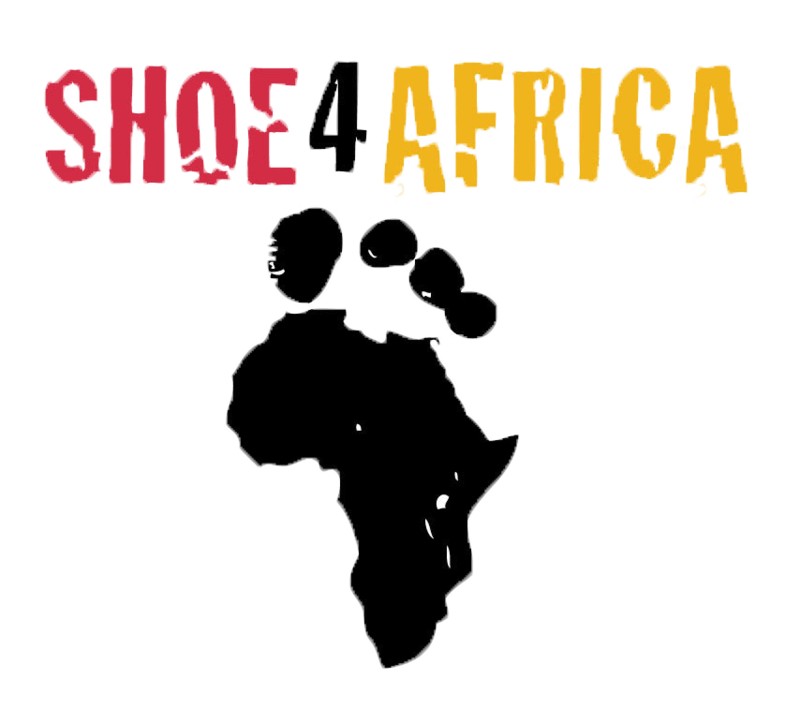 Intrigued, I wanted to find out more and wanted to try a pair of HOKA ONE ONE shoes. It’s worth mentioning, I never ran in a pair of HOKA ONE ONE, in particular the Clifton 2 before or any other maximum cushioned shoes before. Just some brief background information about the HOKA ONE ONE running brand. 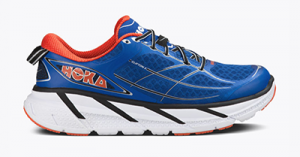 HOKA ONE ONE is a niche running brand devoted to runners looking for a ‘maximalist’, i.e. a lightweight shoe with maximum cushioning. The company was founded 2010 by two French running enthusiasts. In 2012, Deckers Outdoor Cooperation, who already own the Australian UGG brand, acquired HOKA ONE ONE. 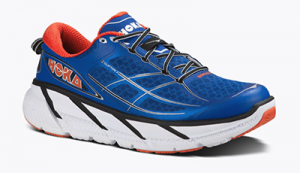 HOKA ONE ONE quickly gained global recognition among the ultra running community. Recreational as well as performance athletes started to run in the maximalist HOKA ONE ONE running shoes. The name HOKA ONE ONE is derived from the Maori language and translates to ‘time to fly’, which illustrates the feeling when running in HOKA ONE ONE running shoes. The most notable feature of the Clifton 2 is the pronounced midsole, aka ‘rocker’. The rocker provides a feel of a mid-foot landing and rolling sensation for toeing off again. 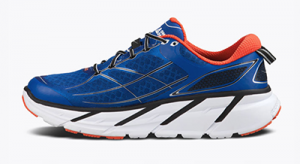 It’s like running with plateau shoes, unlike a minimalist trainer when the foot is on the ground, the foot in a maximalist trainer is higher up. The front and heel support differ. The front cushioning is 24mm while the heel is 5mm more, 29mm. 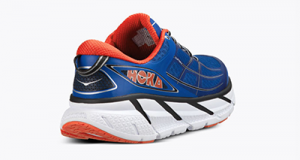 Overall HOKAs have more than twice the amount of midsole cushioning than any other shoes. The Clifton 2 is a lightweight shoe. A UK size 9 model is approx. 245 grams. During the last 3 runs I used my normal day to day orthotics which fit nicely into the HOKAS. The left foot feels comfortable around the heel and the foot feels compact when laced. No issues with the heels or the toes. The maximum cushioning is gentle on impact and knees, the amplifying effect upwards need to be compensated with good hip positioning and glute strength. A poor hip stability will likely not benefit from running in max cushioning shoes. Two weeks ago, I tried the HOKAS on my local 5k parkrun, a course I know well and have run 103x. Due to a busy week, I only managed to run 2x and rested the previous 3 days. To my surprise, I managed to a set a new PB in my first run with the HOKAs. The course was wet at section and has a steep downhill. The HOKAs provided good grip and felt comfortable. However, when there is a lot of mud, the HOKAs don’t provide a good grip. My cadence was perfect. The strides per minute rate was at a perfect 180 spm, though the course has 600m uphill section. Hours later I felt more recovered as well, compared to the ASICS. The following week, I missed my PB by 6 seconds, though still a good run again with the HOKAs. In the meantime, I have run more than 400 km in the HOKA ONE ONE Clifton2 and will continue training using the Clifton2. Compared to my ASICS I already get more distance out of a pair of HOKAs. When running in the ASICS, the cushioning around the heel wears of very quickly and the shoes last between 200 – 300 km. With the HOKAs so far, the heel cushioning has been fine and the foam is still in place, regardless how often I fitted the orthotics into the shoes. I did not test wear the previous version of the Clifton 2, the Clifton. 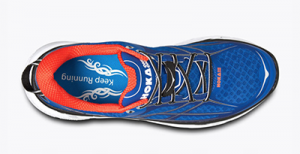 HOKA ONE ONE made a couple of changes after listening carefully to their customers. In comparison to the Clifton, the Clifton 2 is a touch heavier, the tongue is padded, the insoles have been replaced with Ortholite insoles, the laces are lighter, and a lace hole has been added. The upper material is a light, breathable mesh with welded overlays. The cut of the shoe feels firm. Other than fitting orthotics, my width of forefoot or toes are not very unique requiring more space in the toe box. The Clifton 2 is reasonable priced. The recommended retail price is £89.90, which is still below my Asics Gel Kayano 22. However, comparing the pricing of the shoe with similar max cushioning lightweight trainer is difficult as many other shoe manufacturers have added maximum cushioning as a standard feature. In summary, training in the Clifton 2s is a joy. As a heavy weight among runners, the Clifton 2 is a great shoe for neutral runners, at a reasonable price point, combining maximum cushioning for support and light weight for training. Once training in the Clifton 2, one aspect sticks – the ability to train harder without feeling the impact of the road. Overall, it’s a strong buy recommendation from me. You can find more information about other HOKA ONE ONE models at their website HOKA ONE ONE website. If you are interested in the latest review of the HOKE ONE ONE Bondi 5, then please head over to The Babble Out website.